Depression can affect more than just mental health—it can have physical consequences as well. Memorial Physician Services (MPS) is working to address the overall well-being of their patients through a multi-faceted effort to identify and help those who are experiencing depression. “Depression has a serious impact on both mental and physical health, and can affect many aspects of a patient’s life,” said Tamar Kutz, administrator of ambulatory operations for Memorial Health System. Research has shown that undiagnosed and untreated depression can also lead to increased healthcare costs and decreased compliance with physician instructions—which, in turn, can cause more health problems. MPS created a new process to improve rates of depression screening, increase follow-up with patients and make physicians and nurse practitioners more comfortable discussing mental health issues. A team made up of physicians, nurses, behavioral health consultants and other clinical staff from nine MPS clinics worked together to achieve these goals. The result was a 29-percent reduction in hospital admissions for depression and mental-health issues among MPS patients, and a 28-percent increase in referrals for behavioral healthcare. To date, nearly 6,000 patients have been newly diagnosed with depression. 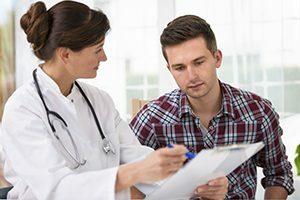 Patients who receive a diagnosis of depression benefit from onsite behavioral health consultants. Behavioral health consultants work with patients to manage stress, improve coping skills, provide additional community resources and arrange referrals to address additional needs. Care coordinators follow up with these patients to ensure that they receive treatment and have the support they need. Well-coordinated efforts between the entire care team means more holistic treatment plans, targeted appropriate medication and lifestyle modification that improve overall health. An algorithm developed by the team is now a part of the electronic health record, ensuring that patients with depression receive appropriate care every time they visit an MPS clinic.